Press We get attention for the things we do. When restaurateur Vittorio Assaf, co-founder of upscale Manhattan pizzeria Serafina, decided to open a new international outpost, he considered the kitchen … then added an additional 96 rooms. Kaufman is the founder and CEO of Kaufman Development, a commercial real estate firm at the forefront of the thriving development scene in Columbus, Ohio—which census data shows is among the fastest growing hubs in the Midwest. And now, he’s opening a community that’s among the first of its kind in the nation. The first hotel to open in Puerto Rico after the 2017 storms, the 96-key Serafina Beach Hotel is definitely on a boutique scale. From offices to pool houses to lighting collections, New York-based design and branding studio ICRAVE does it all. One of the company’s latest projects is the completion of the interiors for the Serafina Beach Hotel, a stylish property embodying the sun and surf culture in San Juan, Puerto Rico. 21 West End Avenue, the premier component of Riverside Center’s ongoing mega-development, is now home to Luci, New York City’s largest digital sculpture. lmost three-quarters of U.S. offices are designed with an open desk plan. Microsoft Corp. has one; so does Etsy Inc.; even the General Services Administration, the government’s landlord, is pitching a wall-free model to federal agencies. In 2013, Sir Albert, a one-time diamond factory reimagined as a world traveler’s Old World residence by Baranowitz + Kronenberg, opened in Amsterdam’s De Pijp neighborhood. Three years later, the Tel Aviv architecture firm, as well as Amsterdam designer Saar Zafrir, unveiled the Art Nouveau-meets-midcentury Sir Savigny in Charlottenburg, Berlin. 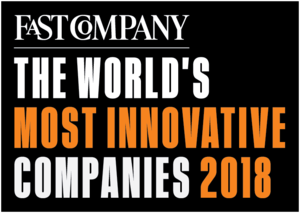 ICRAVE Named The Most Innovate Company of 2018 by FastCo. ICRAVE started out designing restaurants and bars, but has branched out to rethink some of the most stressful places on Earth, like airports and hospitals. Located in the iconic A’dam Tower, built in 1971 on the Amsterdam IJ-river waterfront, Sir Adam Hotel offers 108 guestrooms with stunning views of the historic city and is in close vicinity to many of the city’s hippest movers and shakers. Faced with a four-and-a-half hour layover at Detroit Metro Airport, I head to the Delta Sky Club. "Sir," the lounge agent says, a mild look of concern on her face, "do you know that there's another SkyLounge closer to your gate?" I do, but I've done my research and know that this one is bigger and has better food (thanks, LoungeBuddy). I'm sure the agent is just trying to be helpful—and that she knows that Americans are 'gate huggers,' travelers who, once through the TSA checkpoint, make a bee-line for their gate and stay, no matter the "dwell time" (as it's called in the industry), within a five-gate radius of their departure point.